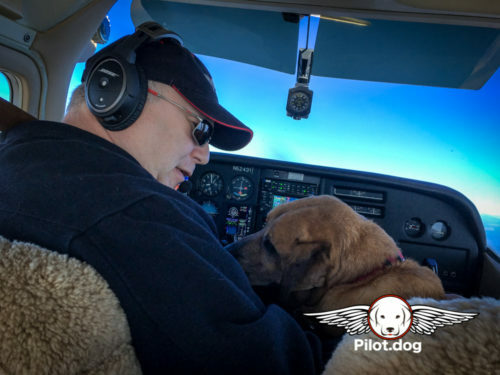 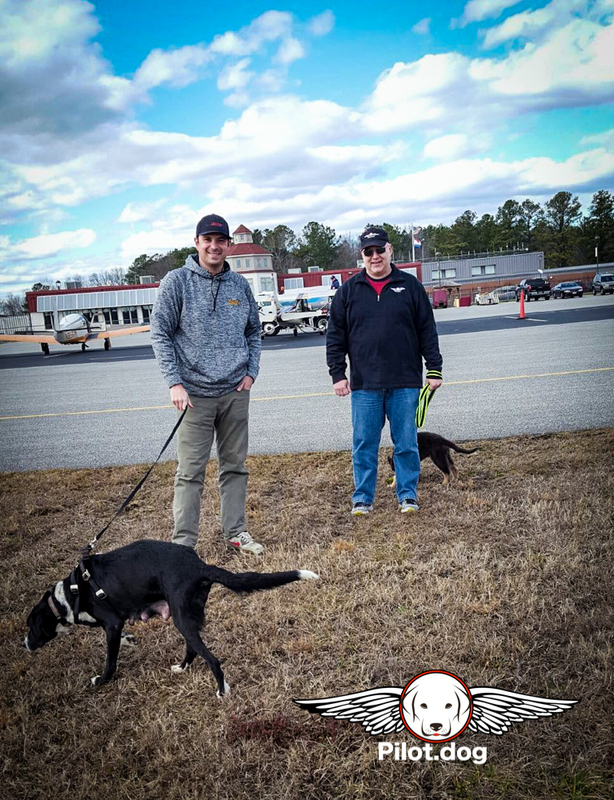 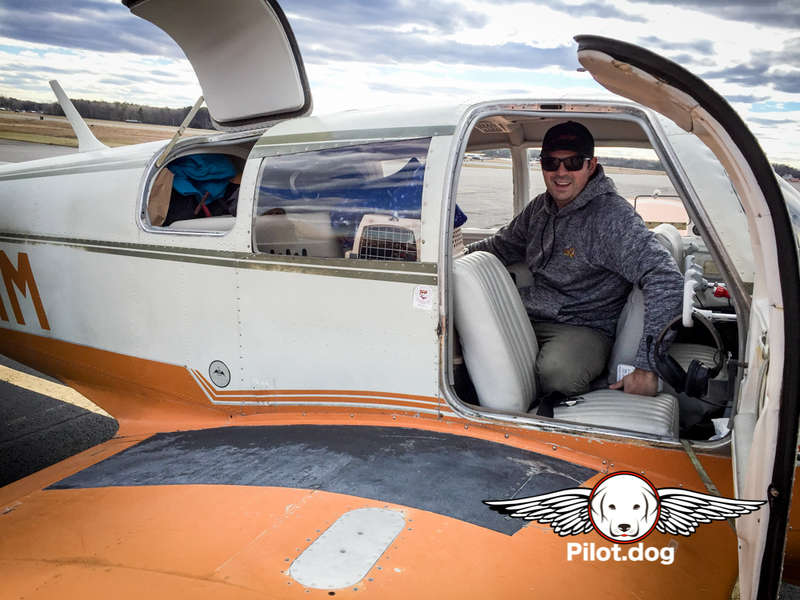 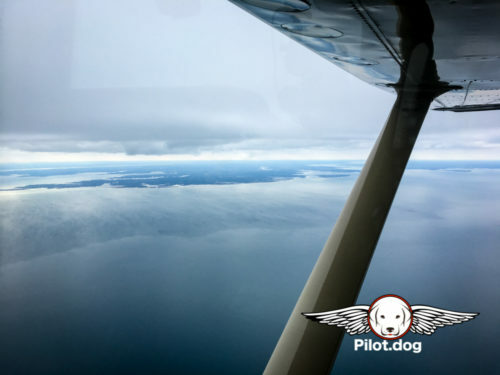 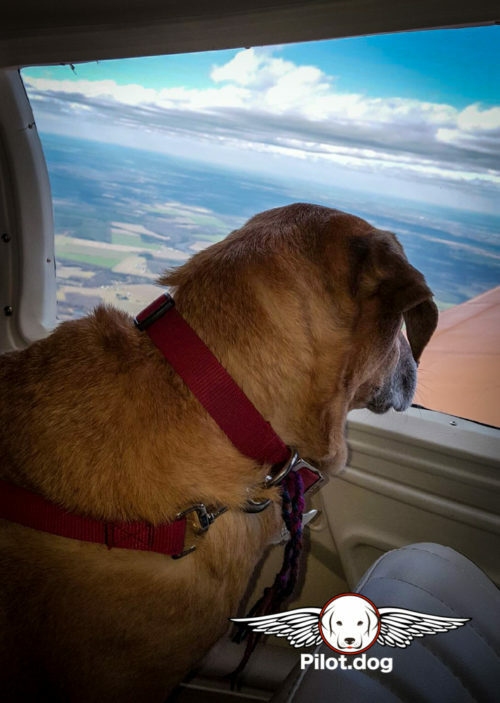 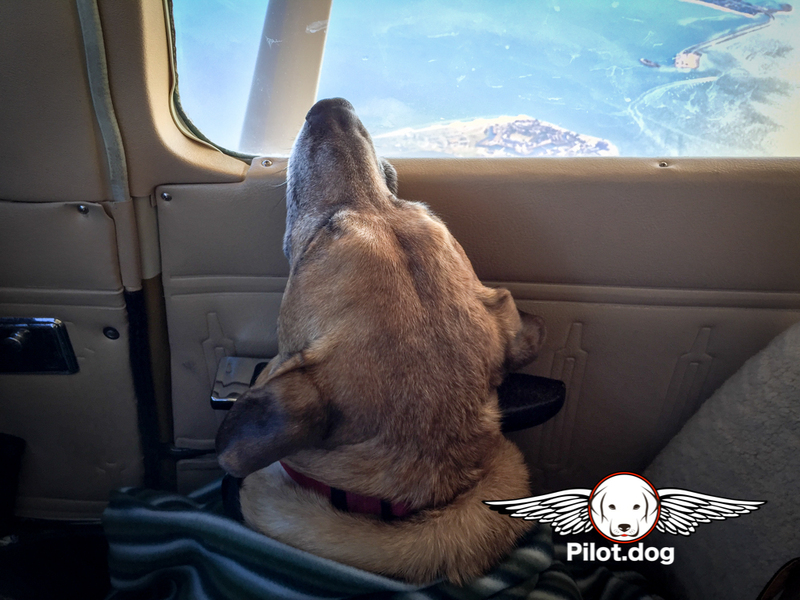 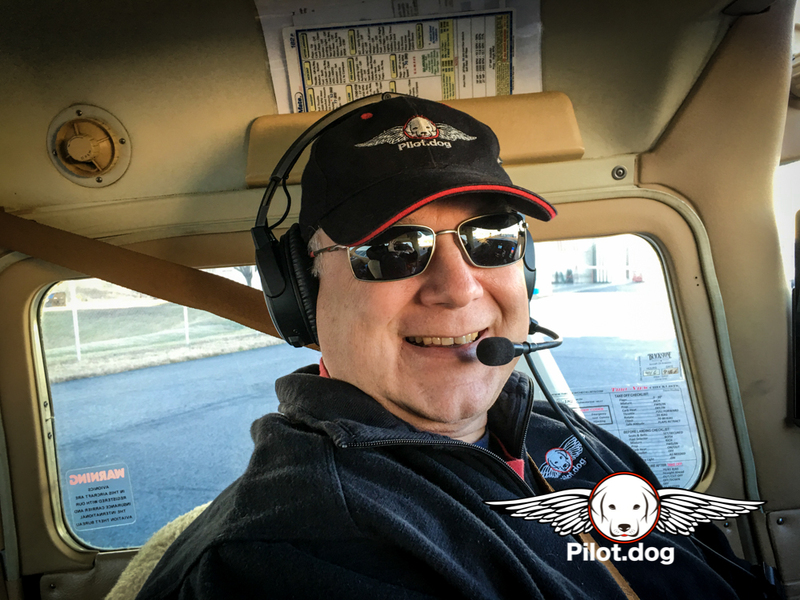 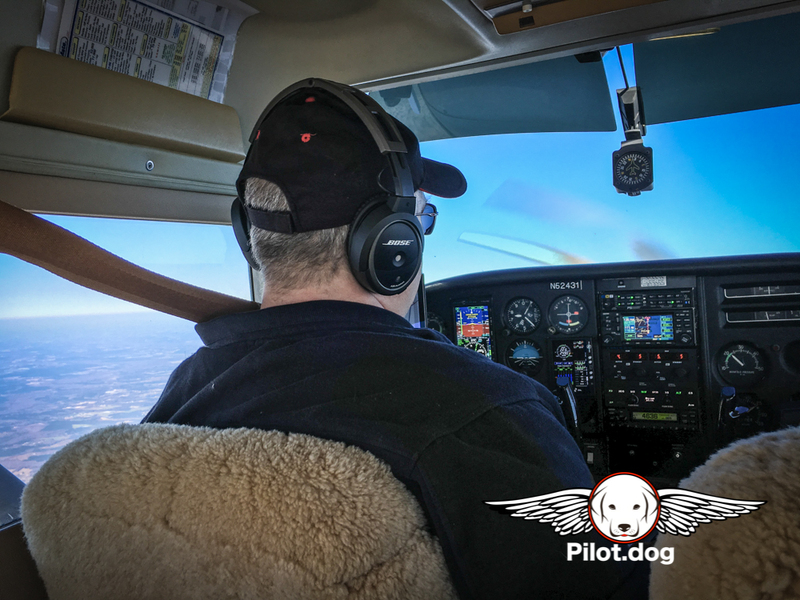 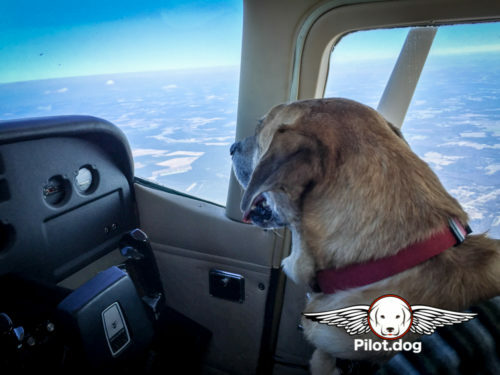 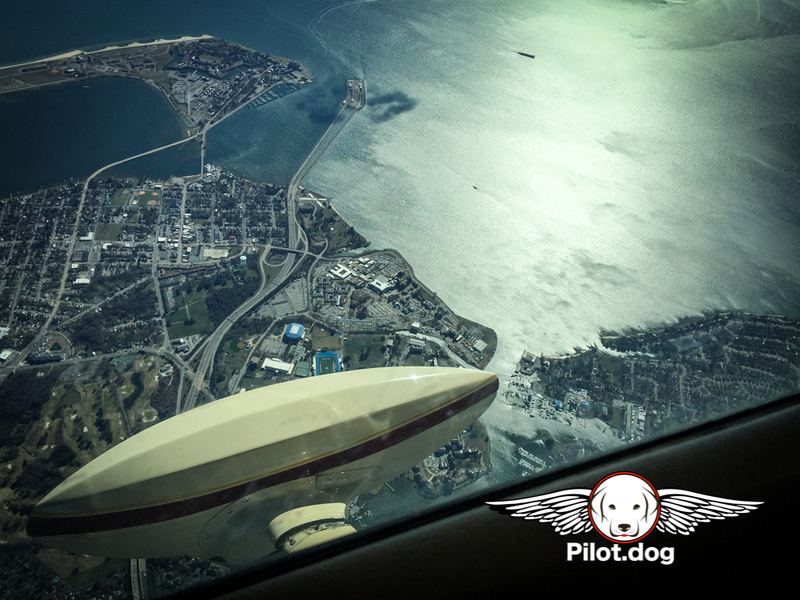 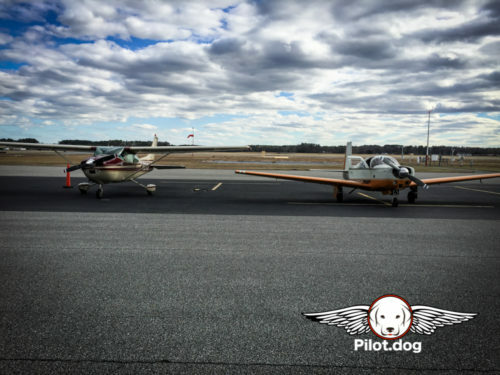 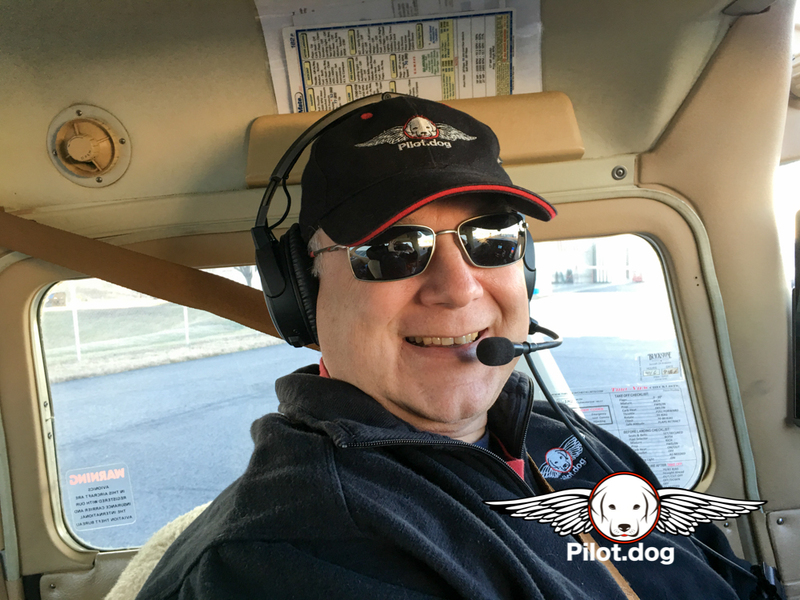 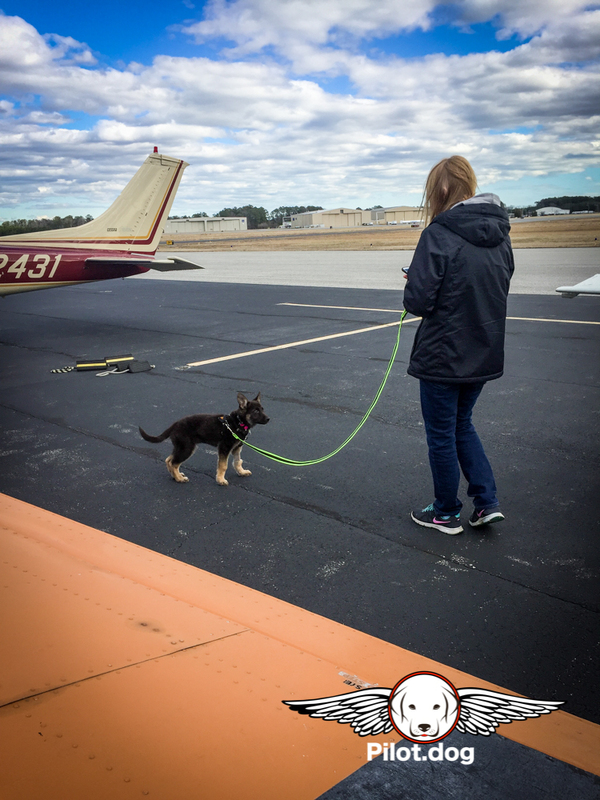 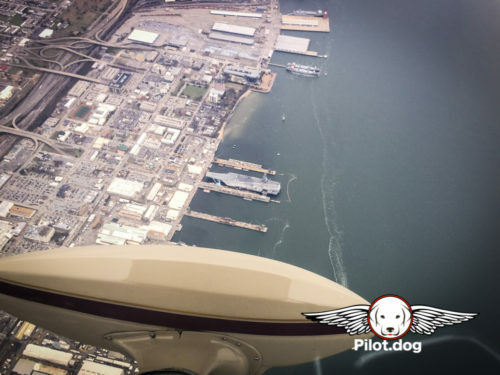 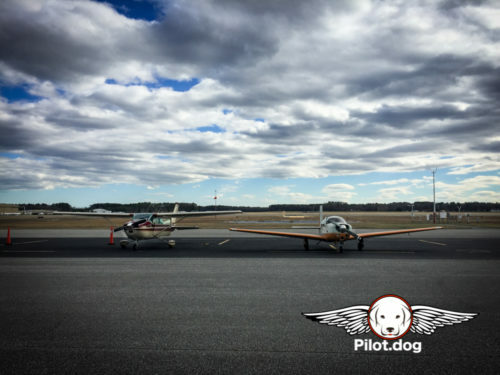 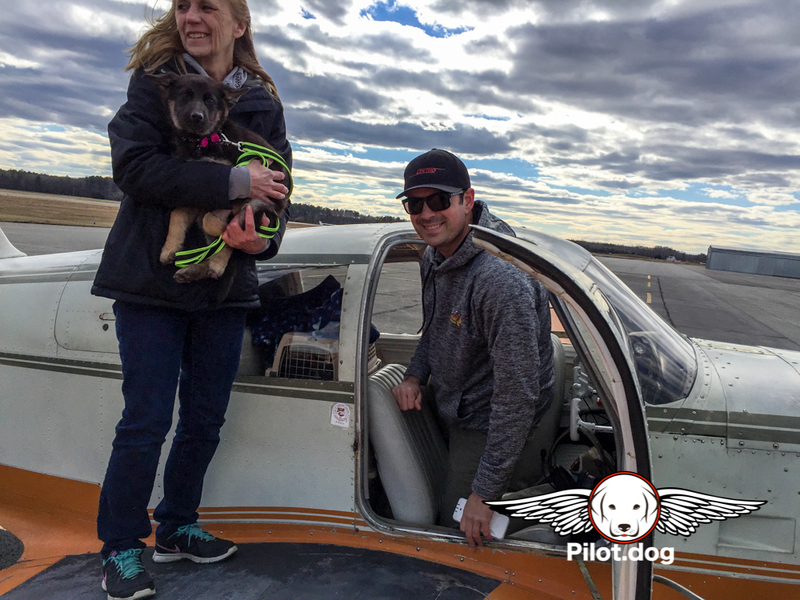 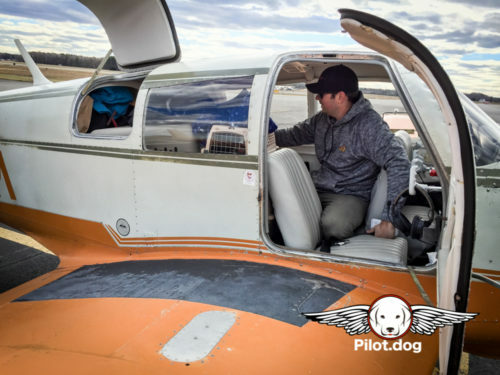 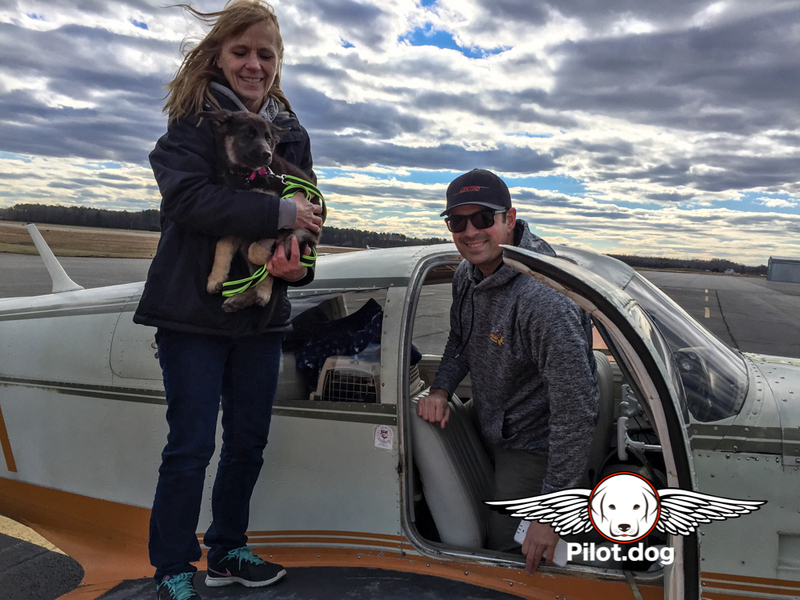 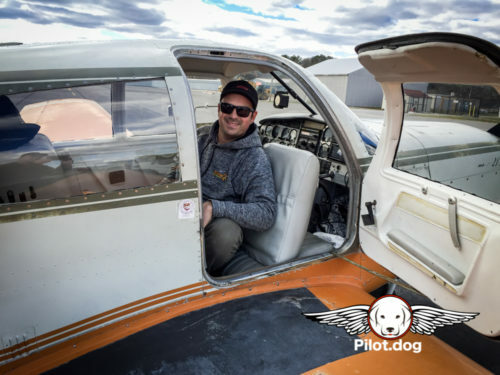 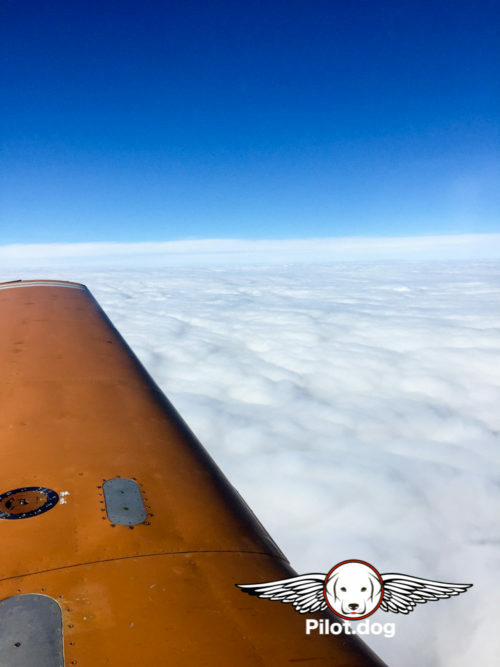 We teamed up again with Mike Malaro with Flying Mutts Rescue and transported 11 dogs this past weekend from rescues in North and South Carolina to rescues in Rhode Island. 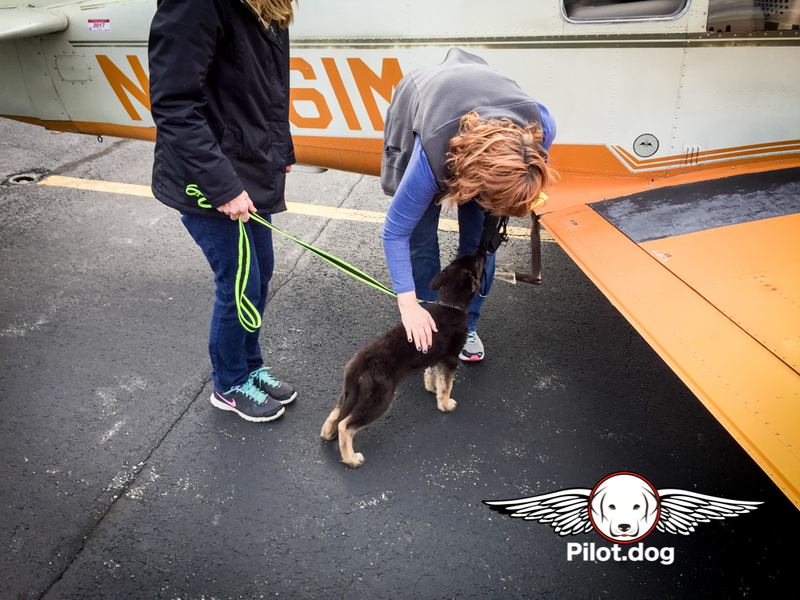 Mike first contacted us about transporting Dutchess and her 6 week old puppies about 2 weeks ago. 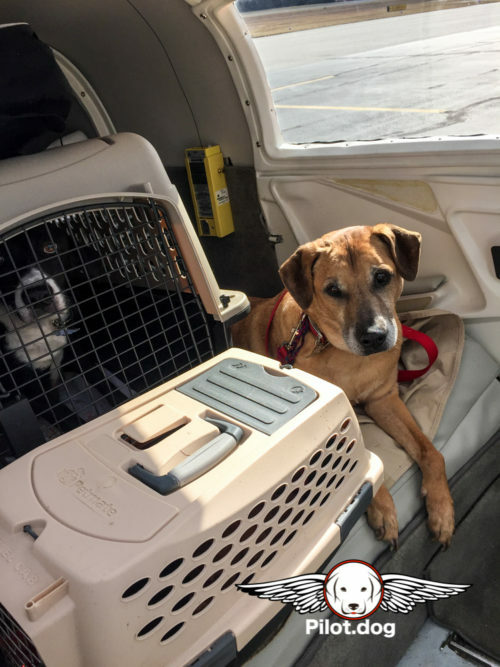 Due to weather we were unable to transport them until Friday, January 27th. Dutchess had been brought into a local shelter near Wilmington, NC by her owner who surrendered her because she wasn’t feeding her puppies and they didn’t know what to do. 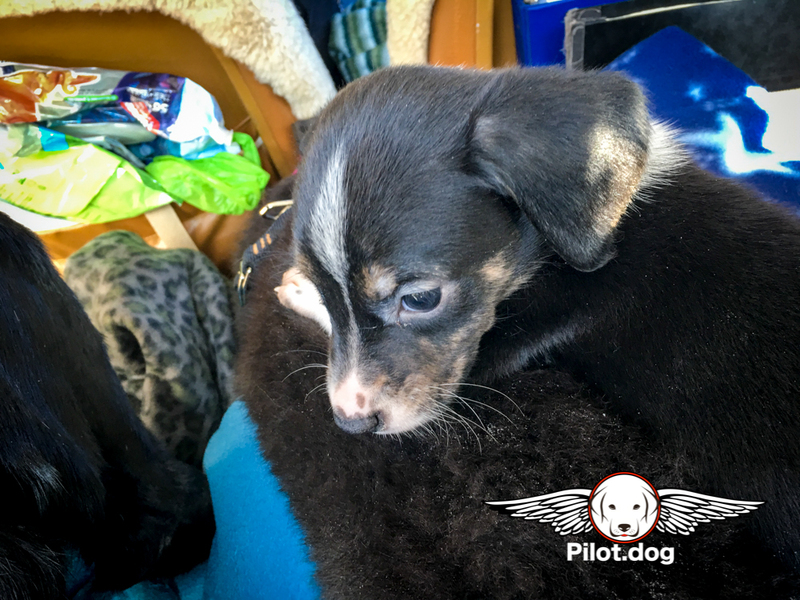 The shelter contacted Benji at Anchor Your Heart Education & Rescue and Benji brought Dutchess and her puppies to her home to foster them and see if she could get Dutchess to nurse again. Dutchess was emaciated and not lactating so Benji gave her electrolytes and let her eat round the clock and within 24 hours Dutchess was back to nursing her puppies. 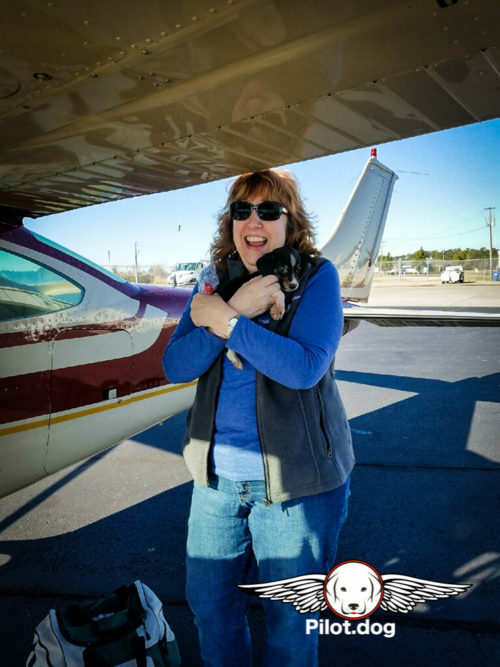 Tammy and Karen at The East Greenwich Animal Protection League agreed to take Dutchess and her puppies and find them new homes. 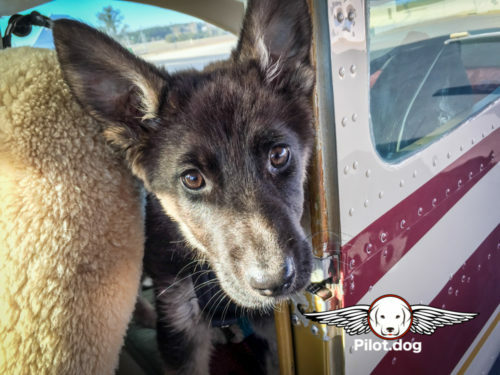 The news was out that we were flying dogs to Rhode Island and Mike was contacted by FairyDogMother Rescue and was asked if we could bring up Festus with the Dutchess and her puppies. 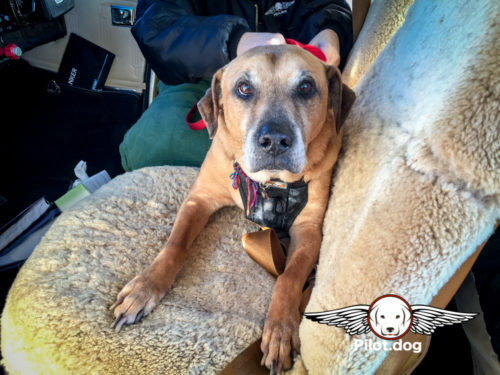 Festus is an older dog believed to be close to 15-years-old. His owners were displaced by Hurricane Matthew and could no longer afford to keep him and had some other issues brewing as well. 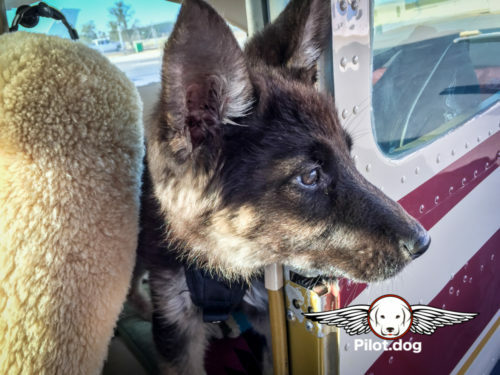 Foster’s Glenda and Ken stepped up to take Festus until a transport arrangement could be made for him to Rhode Island. What could we say? 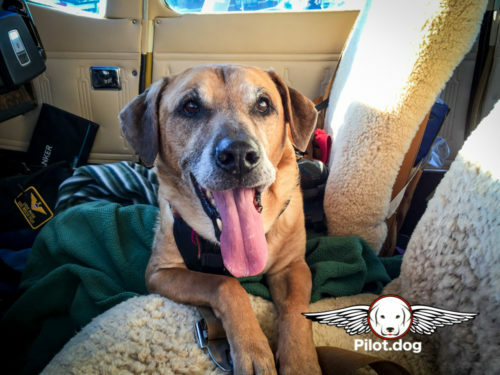 A 15-year-old-dog with no home?!?!?! 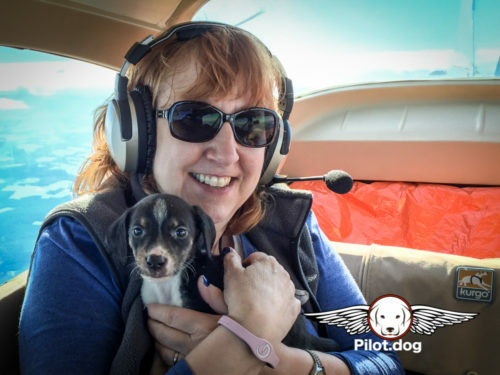 The FairyDogMother herself was going to adopt Festus and he would have a wonderful life. 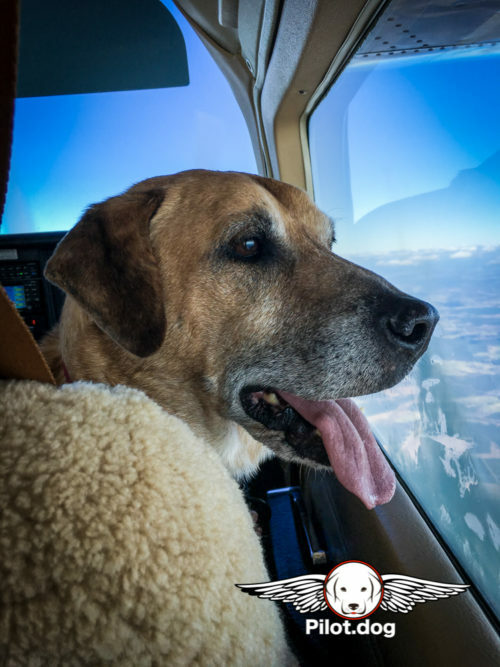 We added Festus to our list of dogs flying north. 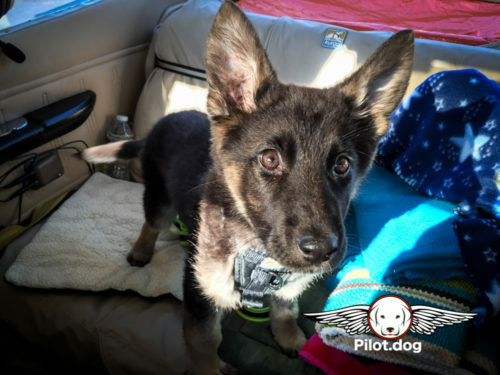 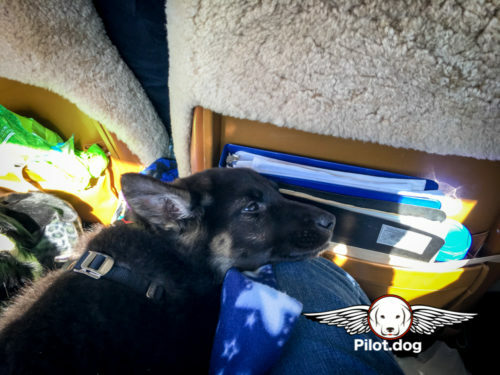 Right before the flight Mike was contacted again by the FairyDogMother who asked if we could please bring up a 12-week-old German Shepherd puppy that was partially blind due to an overdose of flea treatment medication purchased from a local hardware store by the owner. 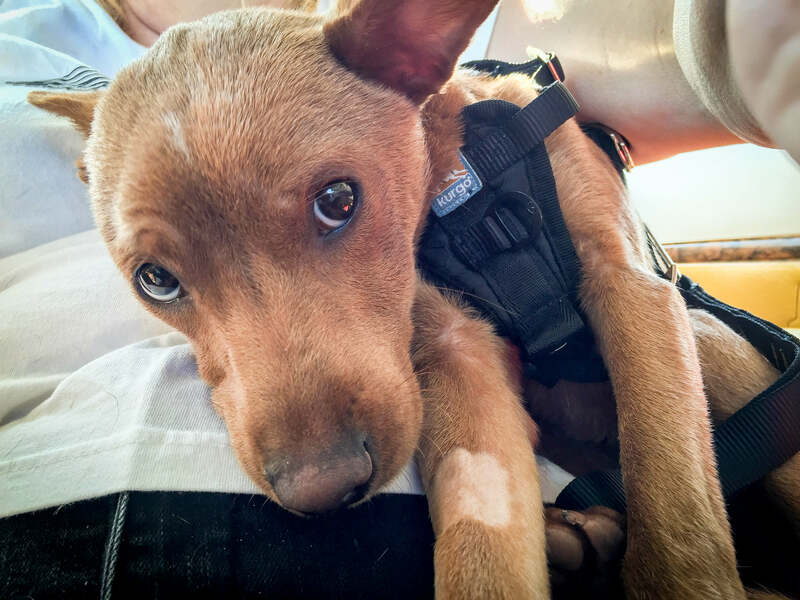 This poor little puppy named Poppy was originally purchased for $800 and the owner didn’t know how to take care of her. She was brought her into the vets and the owner wanted to put her down immediately. 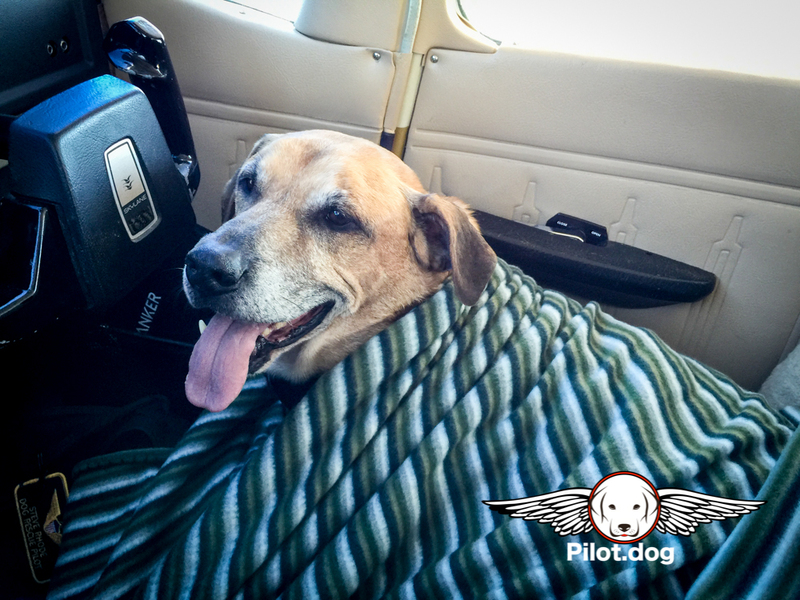 Poppy had a really bad flea infestation was emaciated, blind and just a mess. 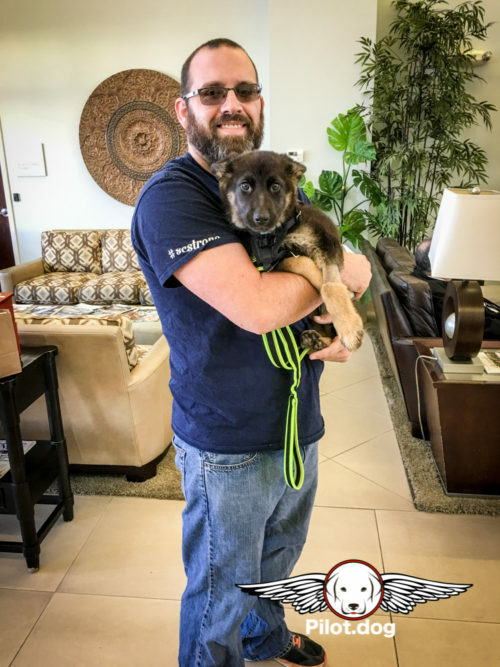 The vet sat the owner down and talked to him about signing over the dog to the vet. 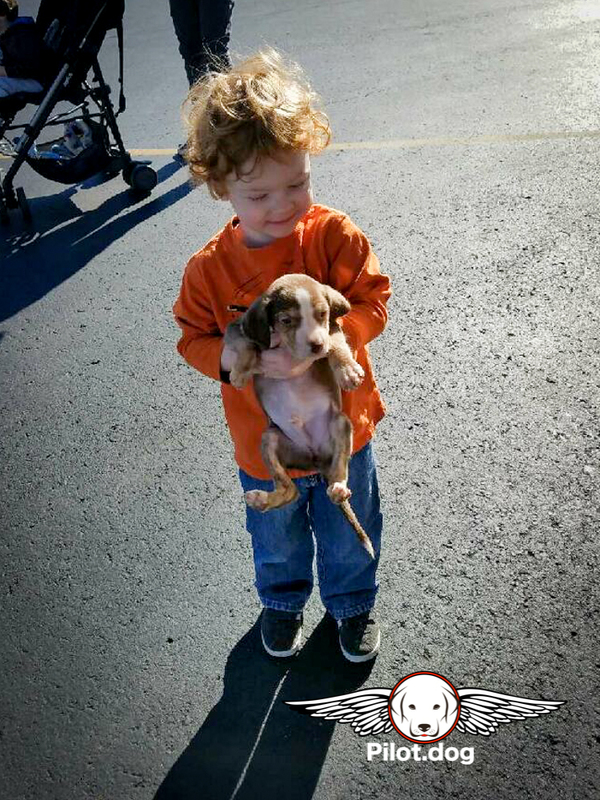 Nope, he just wanted her to be put down. 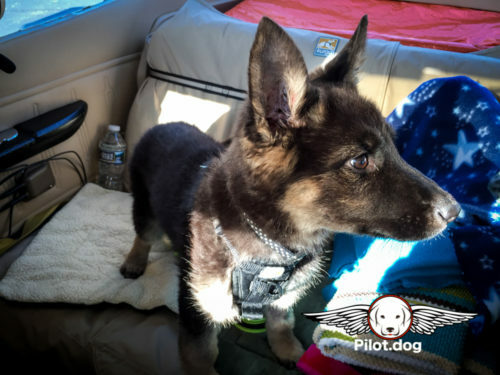 The vet begged to have this little girl turned over to them. Finally the owner did surrender her and the veterinarian’s office started working on her immediately. 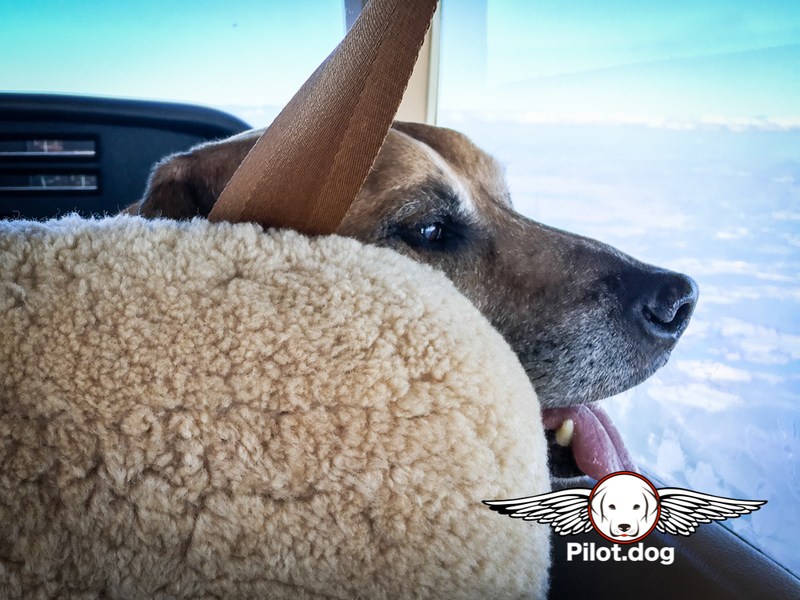 After Poppy, Pam said not more dogs to fly, there’s no more room. 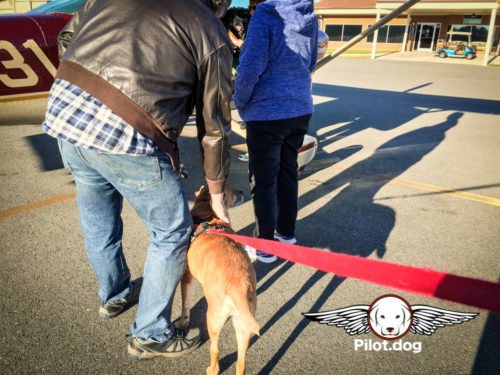 At 6:45 the morning of January 27th we left home to go and pick up all of these precious dogs and fly them to their new journeys in life. 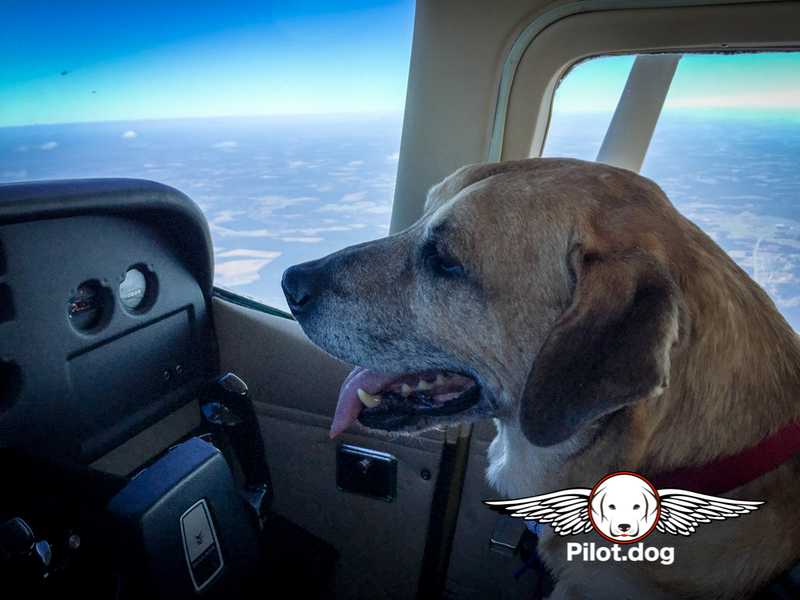 We left Raleigh, NC and flew to Goldsboro, NC to pick up Festus. 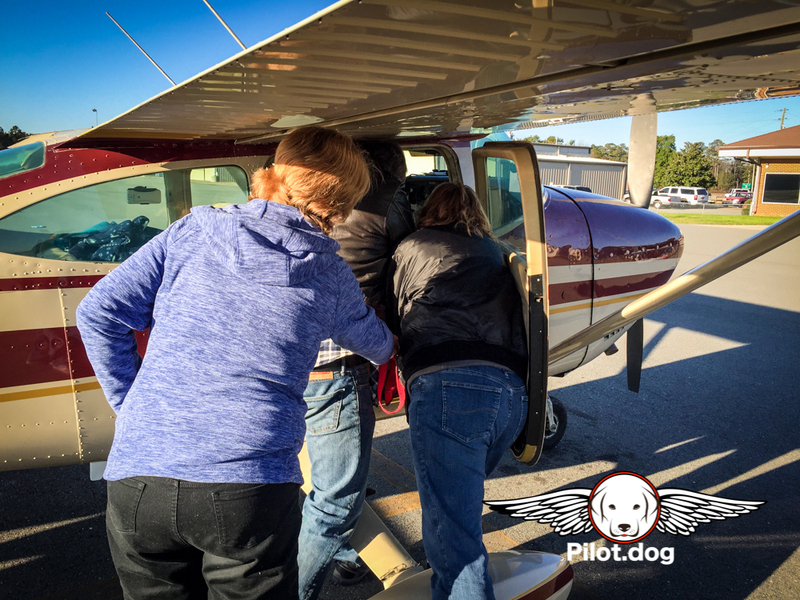 Glenda and Ken met us at the airport where they said a tearful goodbye. Fetus was such a wonderful boy to have around. 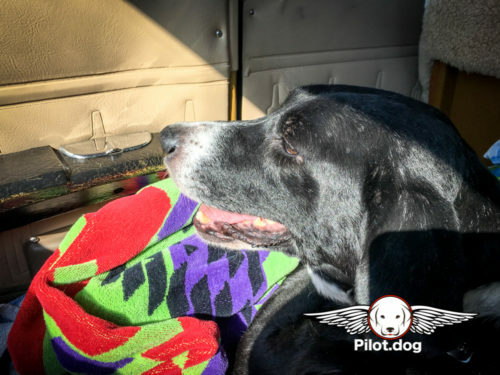 His back leg was a little stiff, where he might have been hit by a car at sometime in the past but he was just a great dog! He’s one of those once in a lifetime dogs. 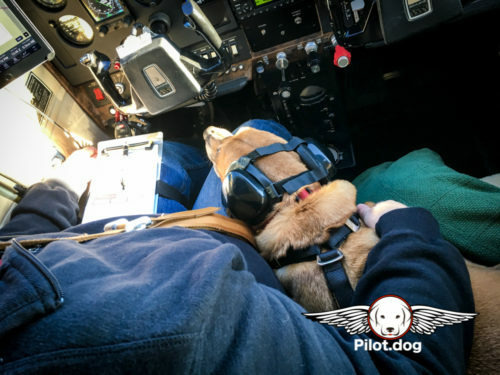 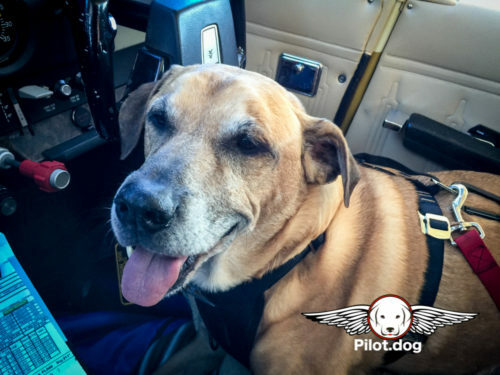 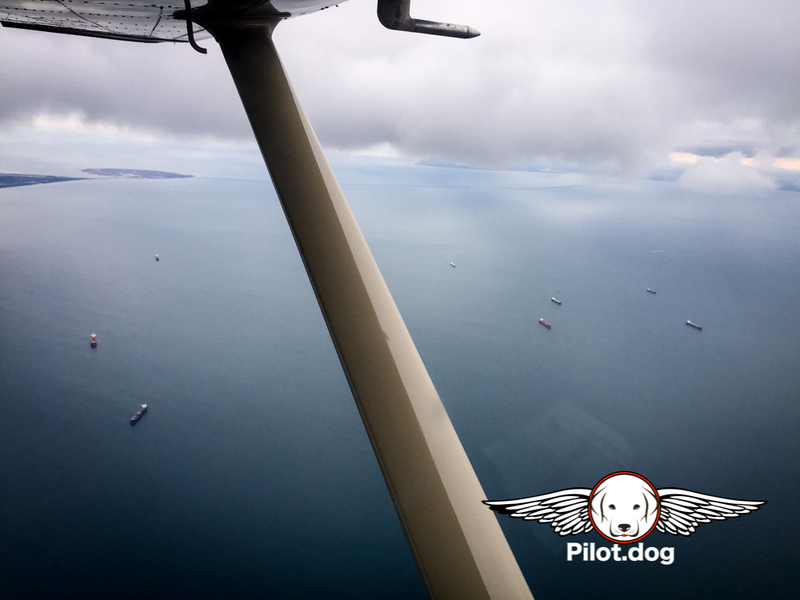 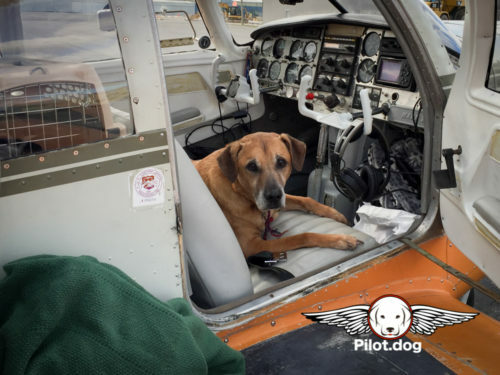 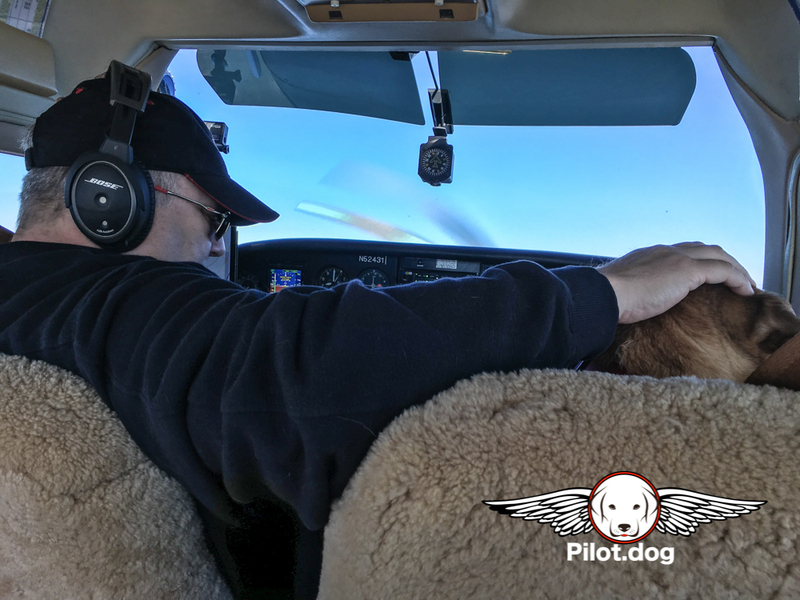 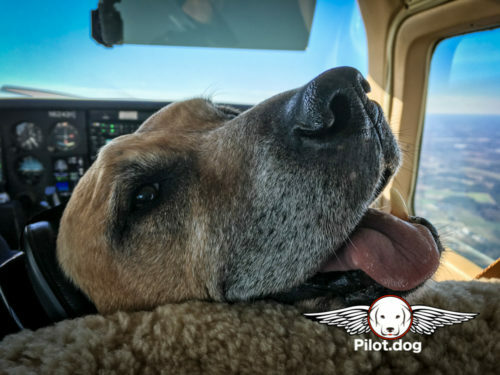 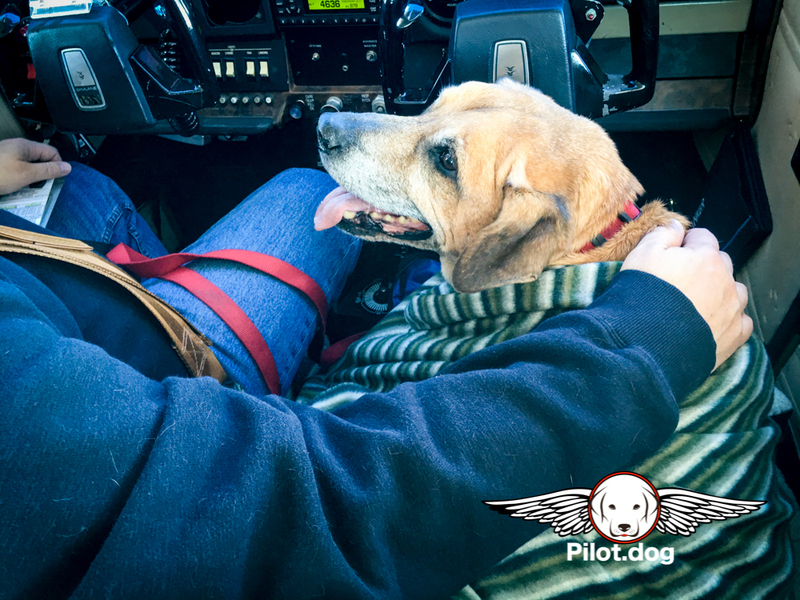 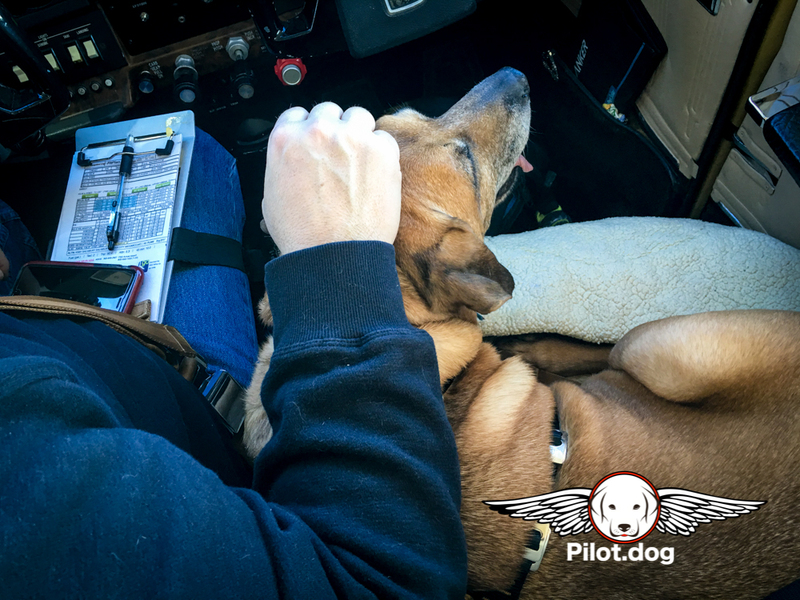 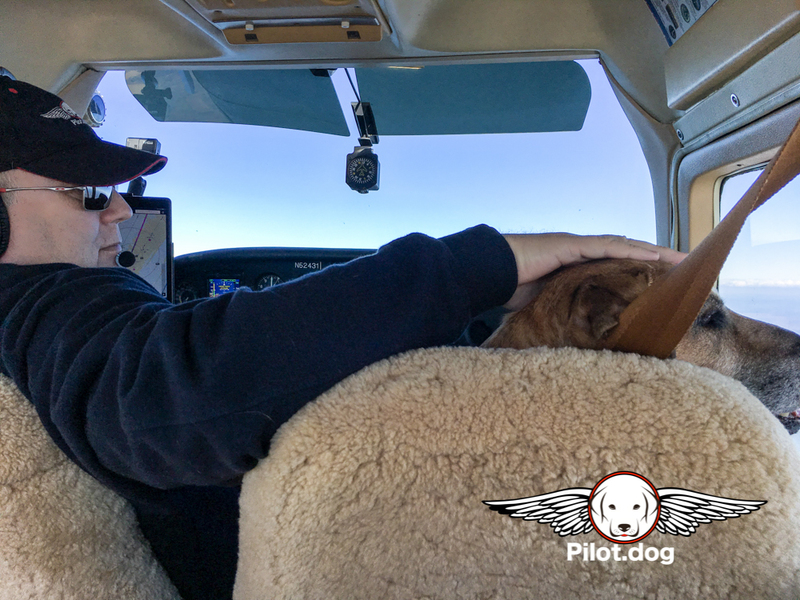 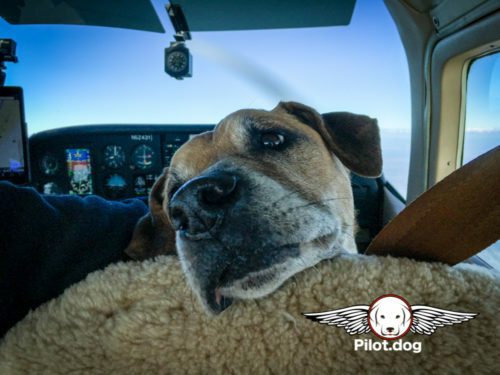 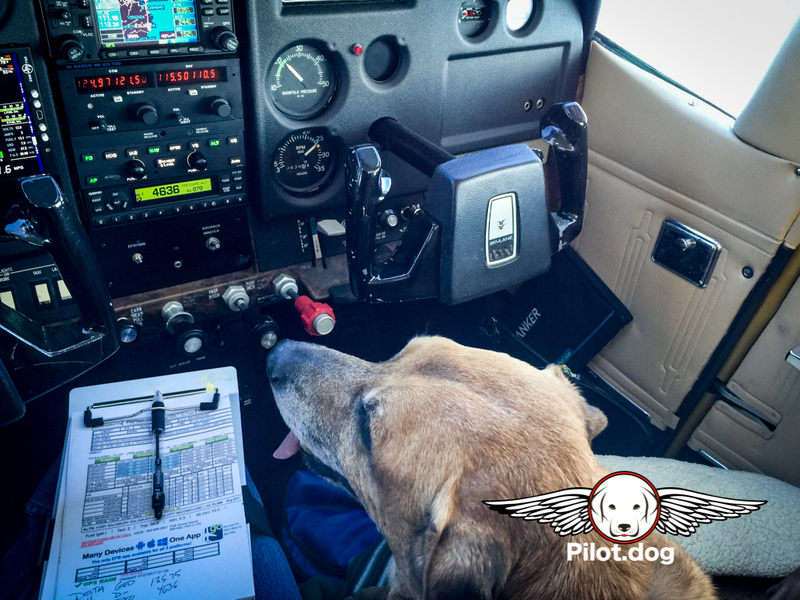 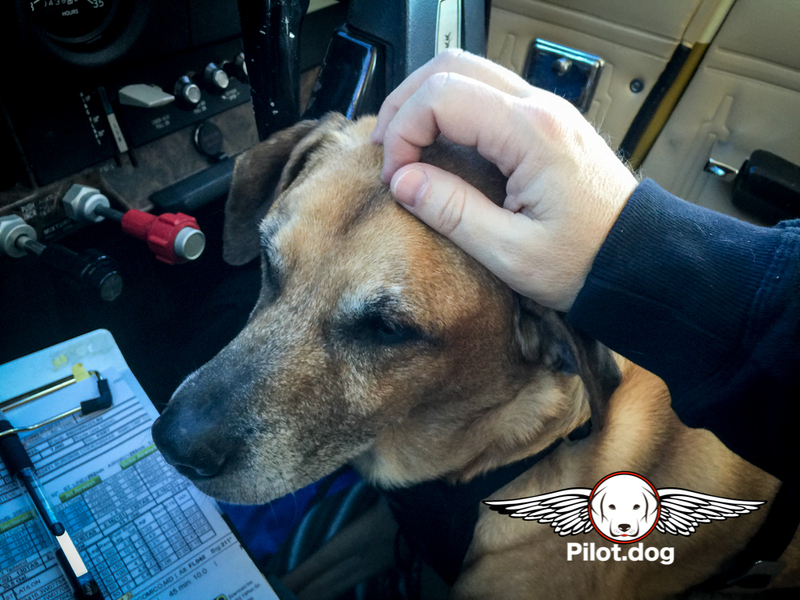 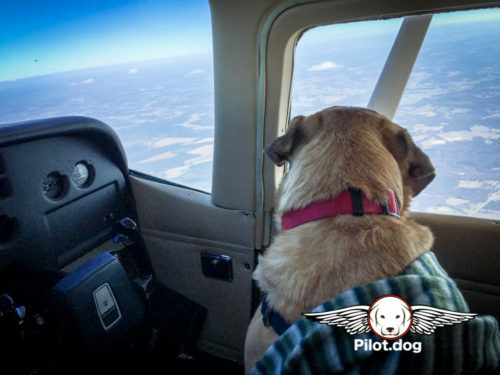 Since we were flying so many dogs that day, Festus got to be our co-pilot next to Steve. 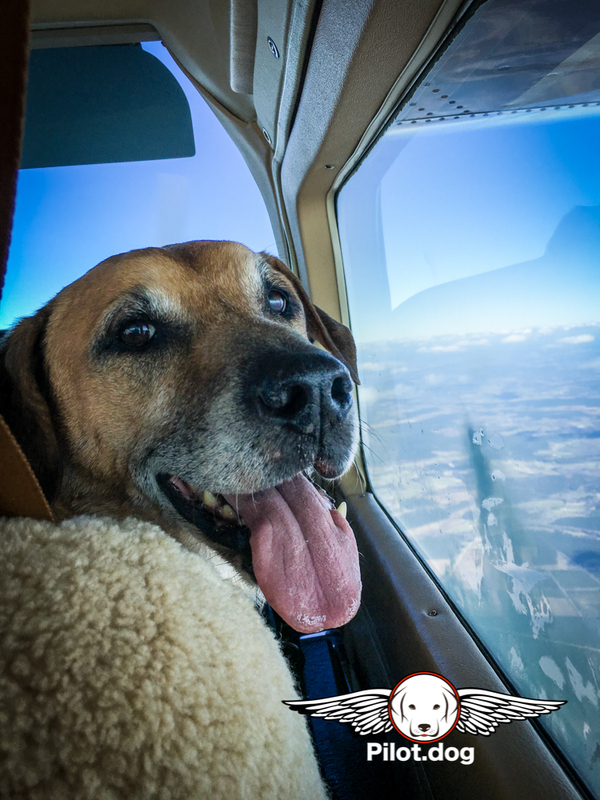 He loved every minute of it. Every once in awhile he’d tilt his head back to see if Pam was still in the back and she’d scratch his head then he’d go back to helping out Steve. 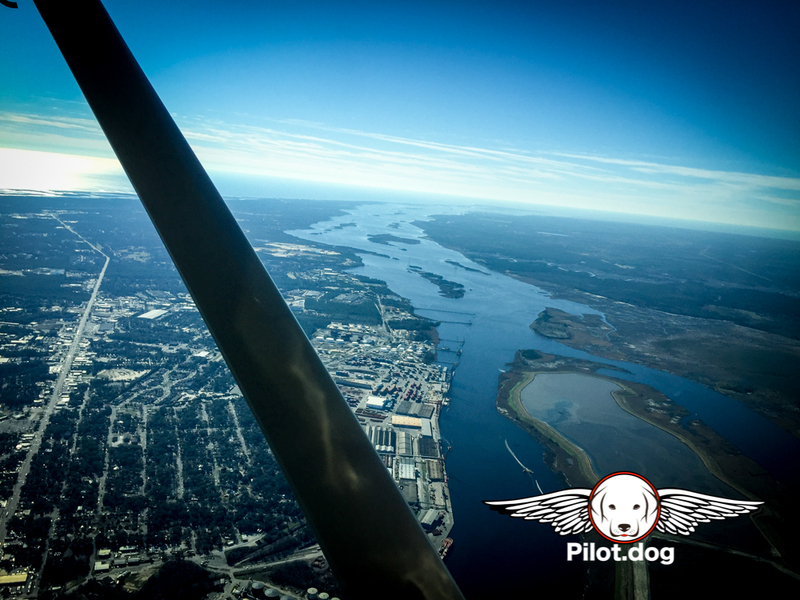 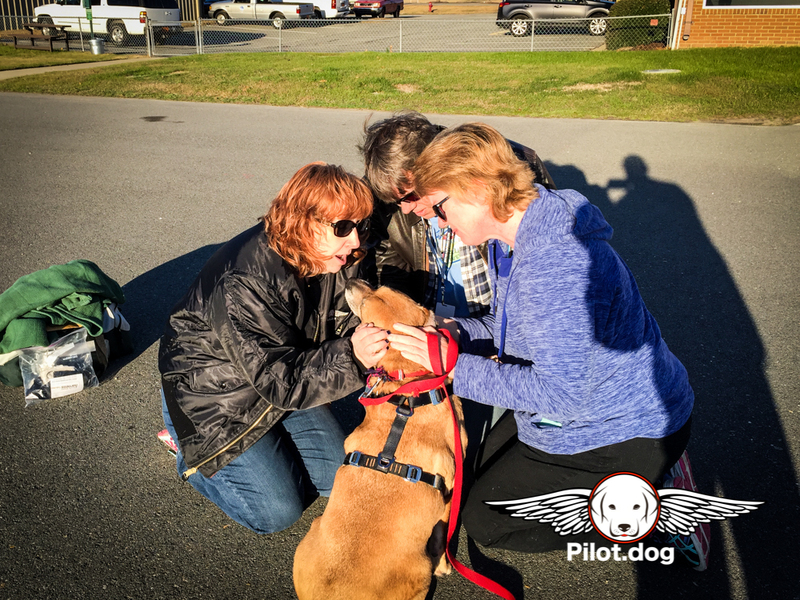 Our next stop was Wilmington, NC where we were to pick up Poppy, Dutchess and the 9 puppies. 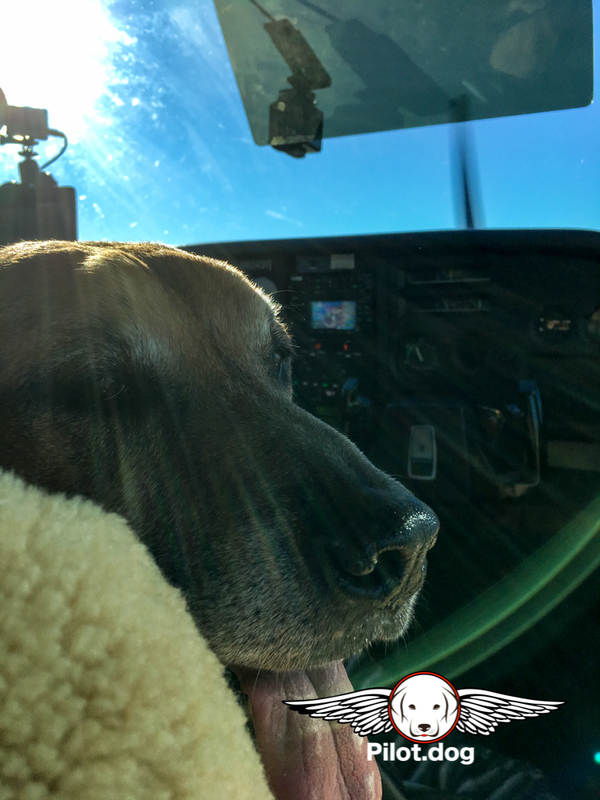 We got there a few minutes early which is always nice. 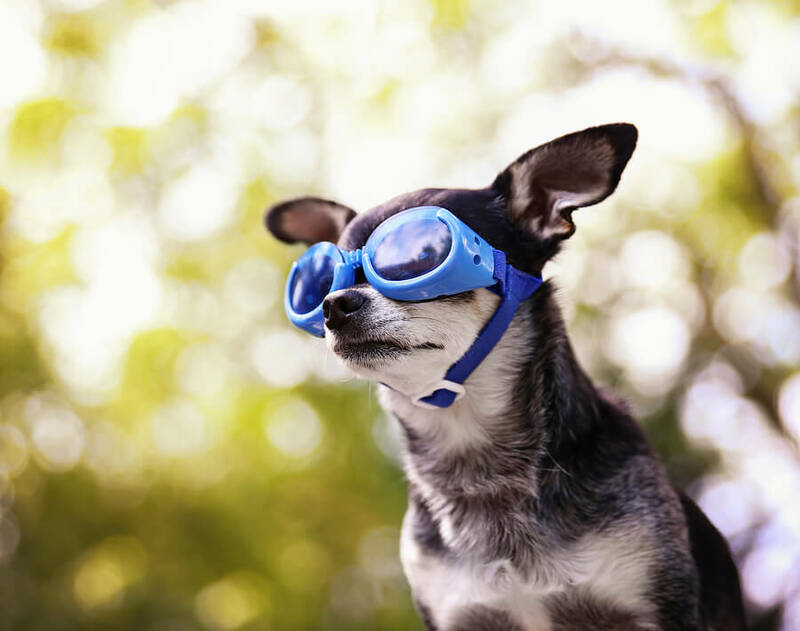 It gives us a chance to breathe before everyone gets there. Pam went in while Steve stayed with Festus in the plane. The first to get there was Brad from DogGone Shelter Intervention with Poppy. 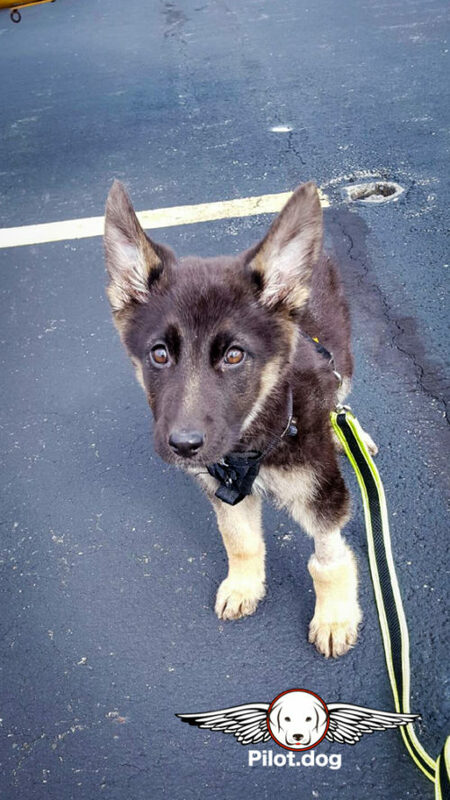 Oh my goodness what a beautiful dog! 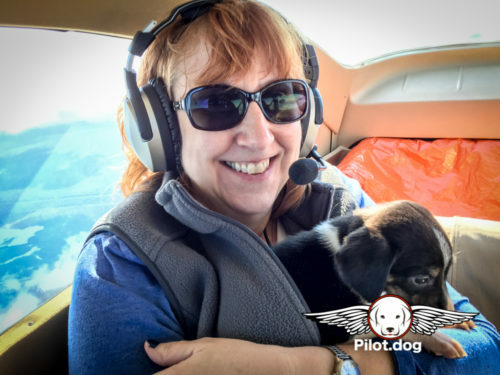 Her fur was so soft and she was so mild mannered, a puppy owner’s dream! 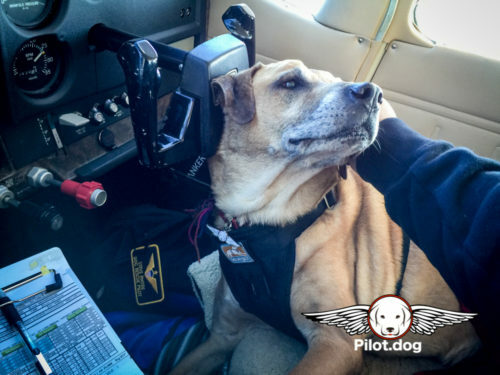 She has her sight back with no damage to her eyes. She and Festus both would make such great therapy dogs! 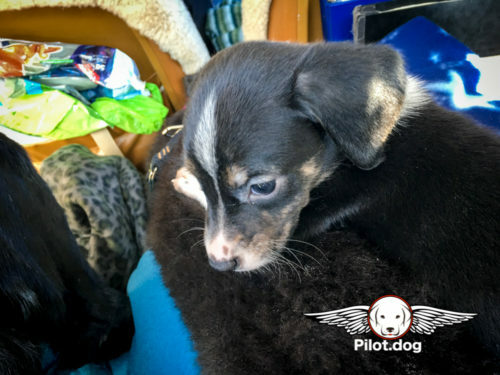 Poppy and Festus both were going to the FairyDogMother Rescue in Rhode Island and I’ve been told that the she wants to keep them both for herself! She’s one lucky Dog Mother!! Next came Benji with Dutchess and her puppies. We found out that one of the puppies had died a few days before flight so there were only going to be 8 puppies. With the help of Benji’s kids we all loaded up the plane with puppies and Dutchess. 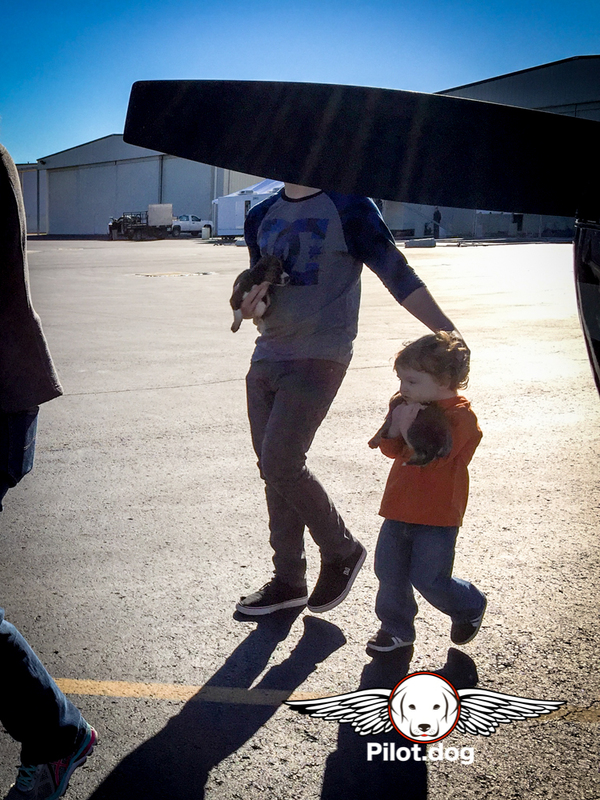 Everyone was carrying puppies. 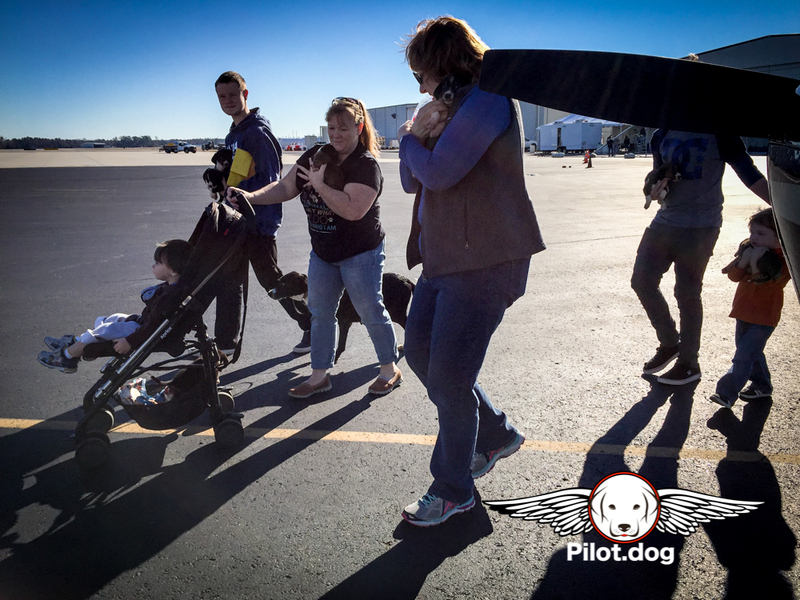 Even the youngest had a puppy in his stroller. 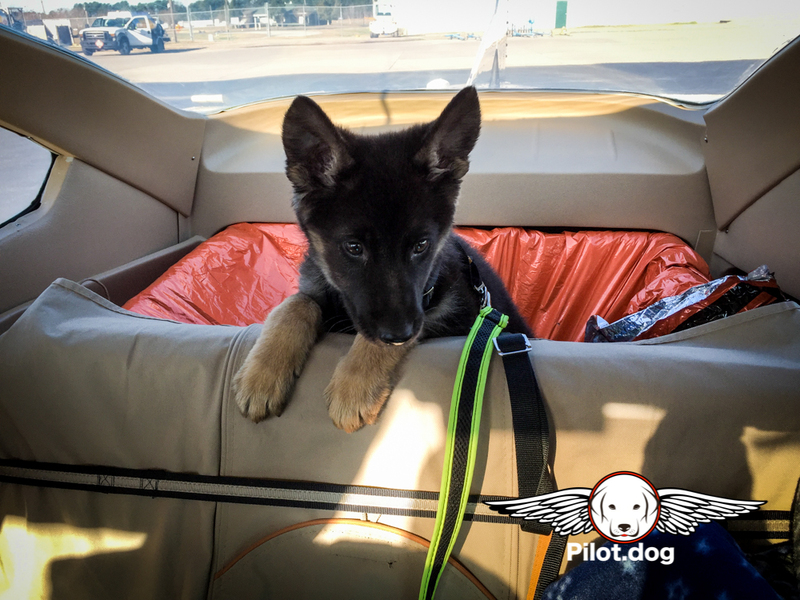 We put the puppies in a big dog crate that we have in the back of the plane behind the back seat. 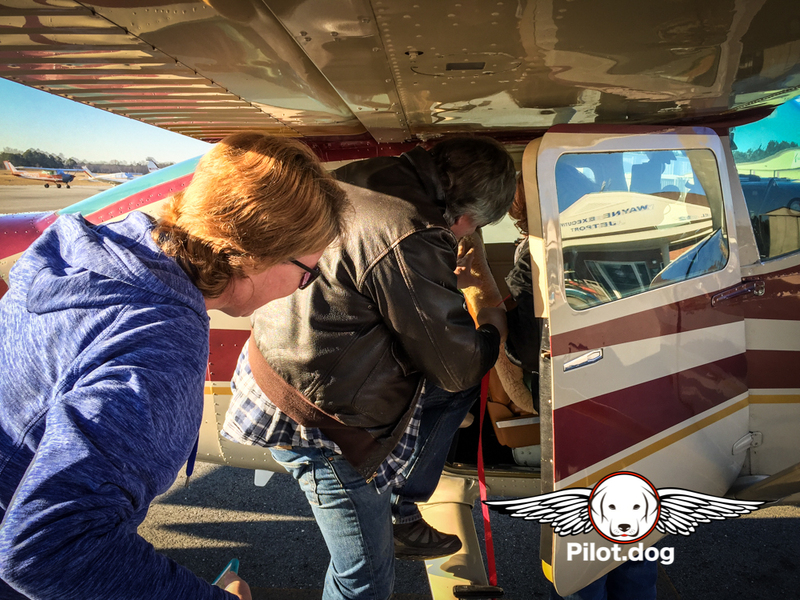 It’s a wire crate that we’ve taken the top off so that Pam can have access to the puppies in flight. 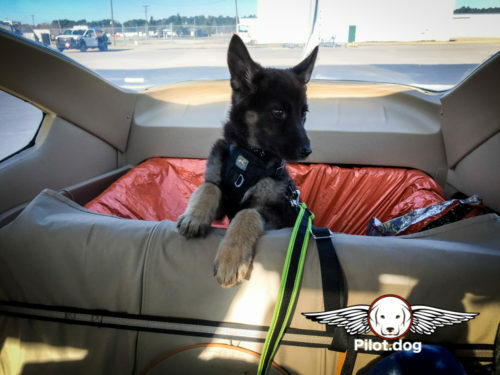 With that many puppies it’s the safest way for them to travel. 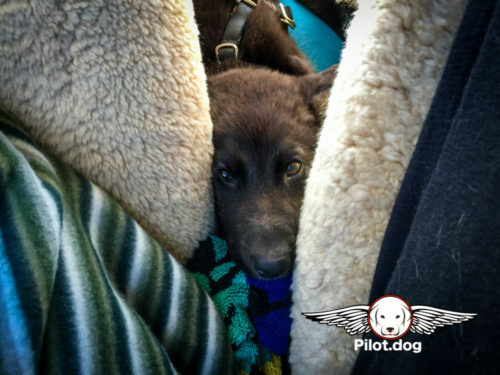 We have quilts lining the crate, with a dog cushion at the bottom covered with a flannel sheet that under the top level of the sheet are eight hand warmers to keep it warm. 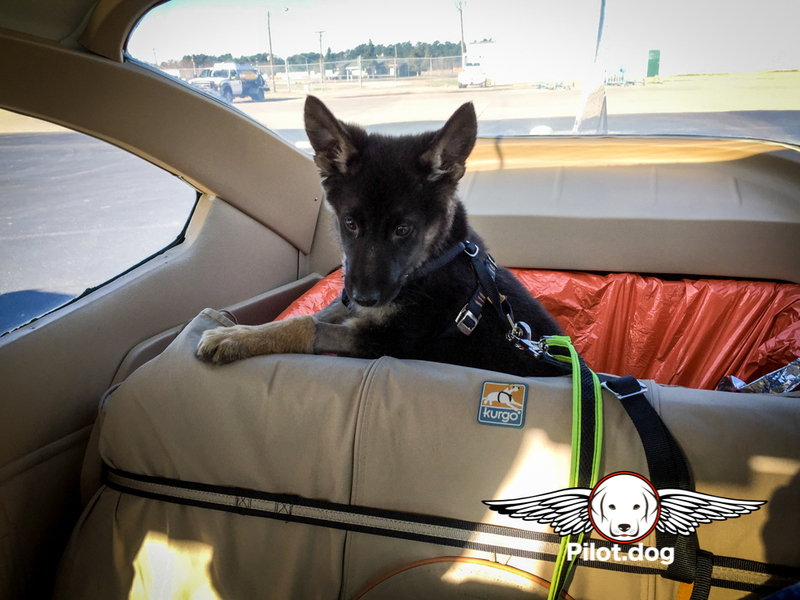 On top of that we have puppy pads in case of a mess. Wrapped around the entire outside of the crate is a space blanket to keep any cold air out and the warm air in. 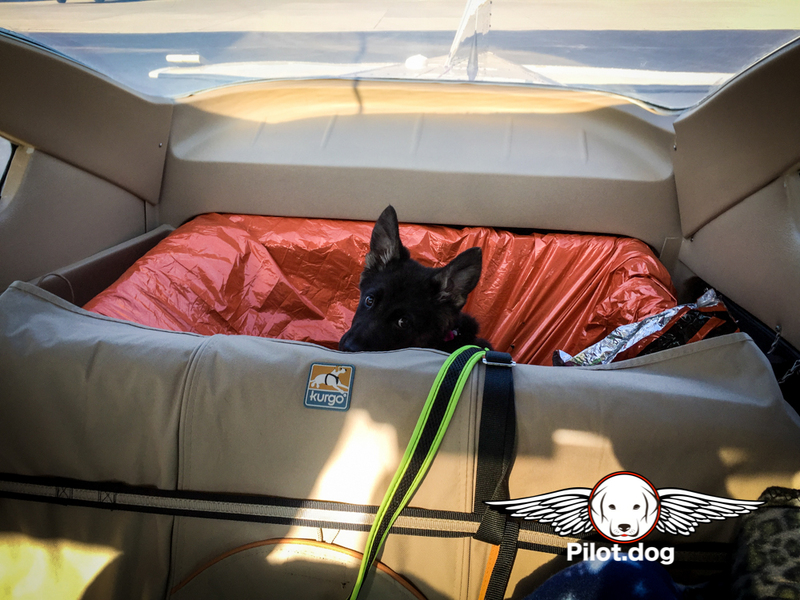 It’s the crate Poppy jumped in before the puppies boarded. We said our goodbye’s to Benji and her boys and off we were to Georgetown, DE where we would meet Mike and Karen with Flying Mutts Rescue and transfer all of the dogs for them to fly the rest of the way to Rhode Island then back to Mike’s home base in Massachusetts. 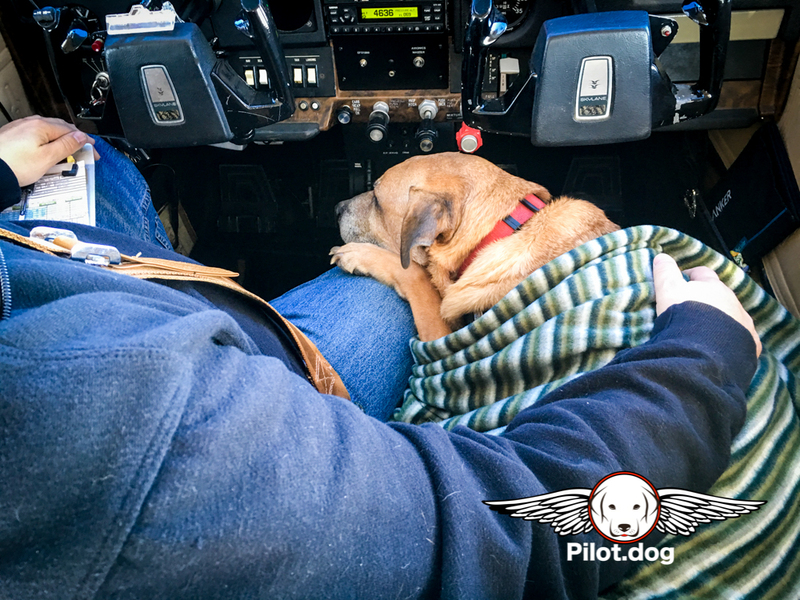 It was a great flight and everyone settled down to sleep. 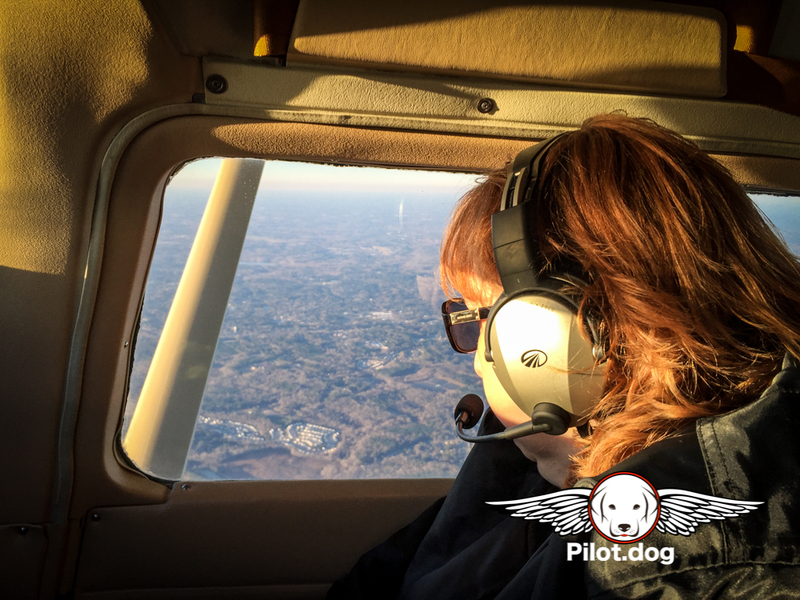 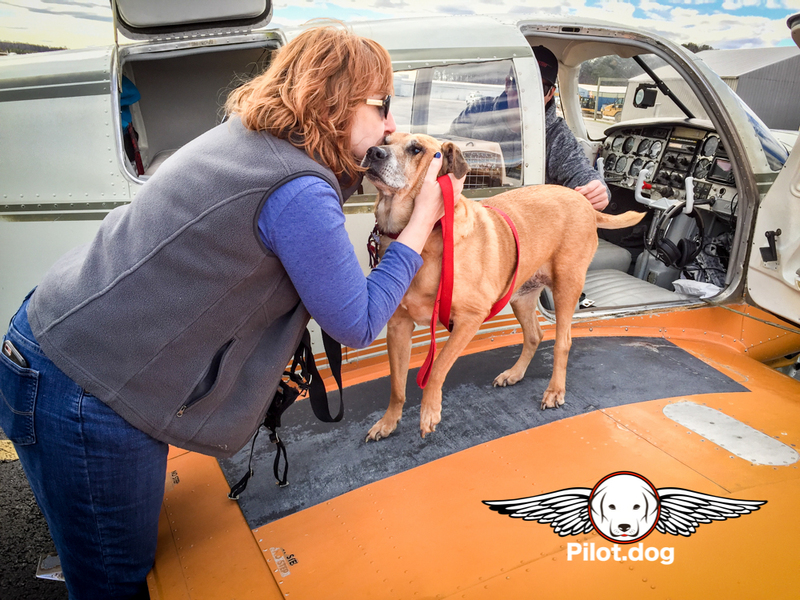 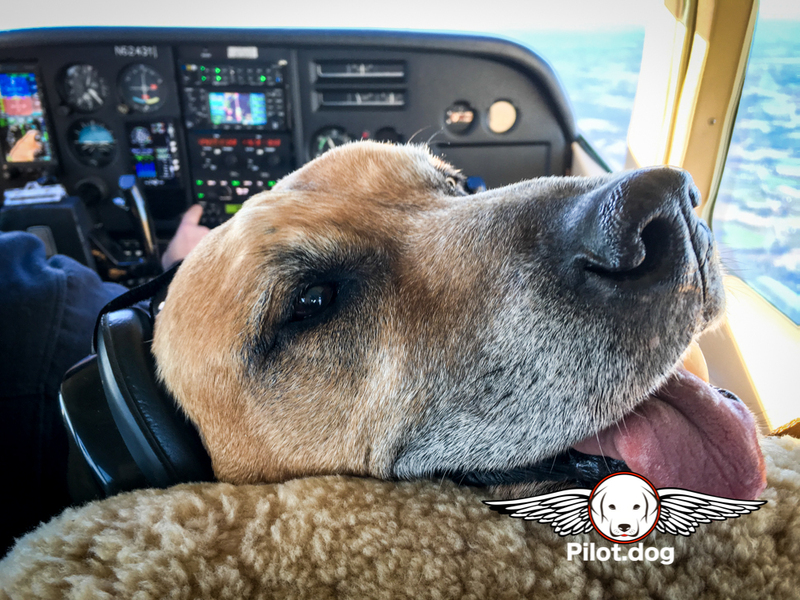 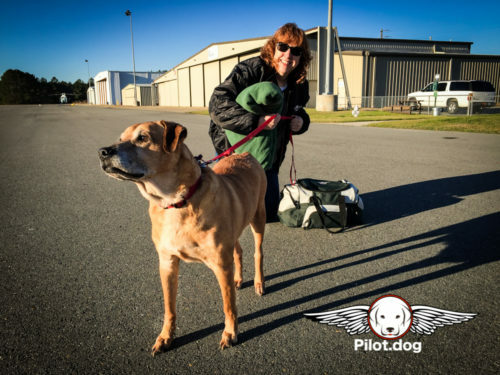 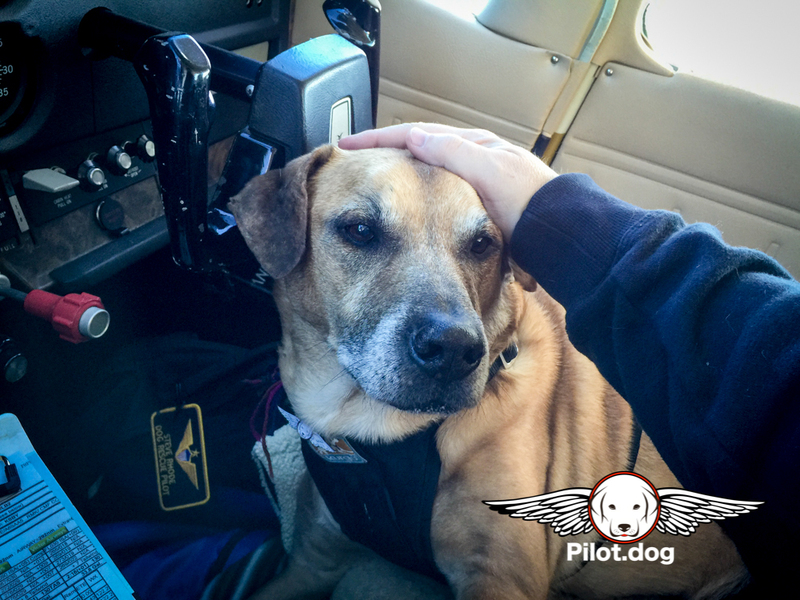 Pam sat in the back and rubbed the heads and backs of Poppy and Dutchess during the flight. Every now and then a puppy would wake up and she’d bring it up with me and cuddle with it for a little while. 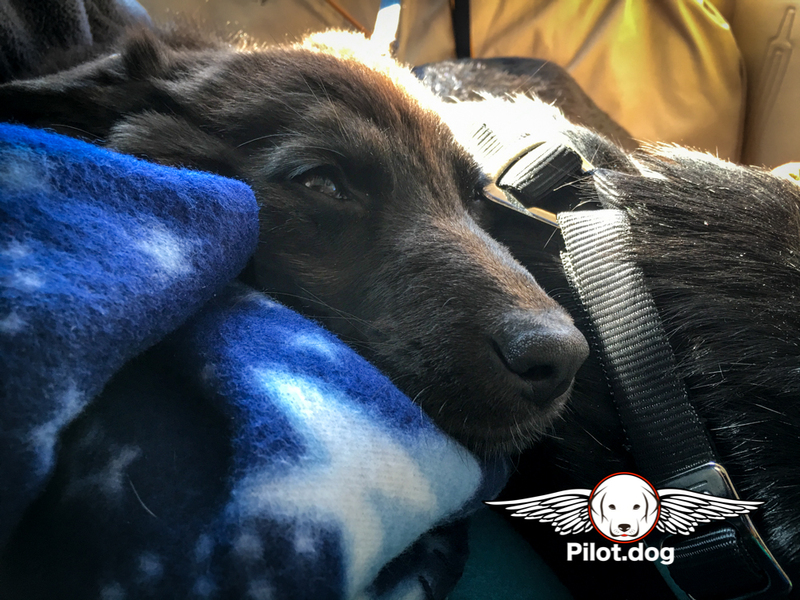 But most of them slept the entire way. Festus was upfront with Steve and they bonded over flying. 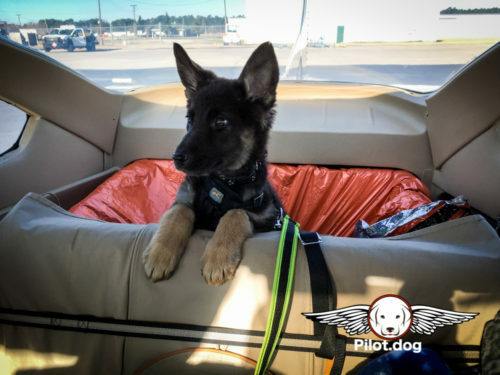 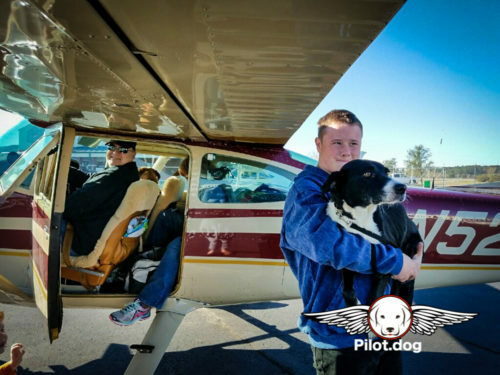 We think he would make a really great flight dog! We landed in Georgetown, DE about 12:30. Jerry from Georgetown Air Services came out to fill our tanks with gas but before he left he helped us transfer all of the puppies to Mike’s plane which is smaller inside than ours. 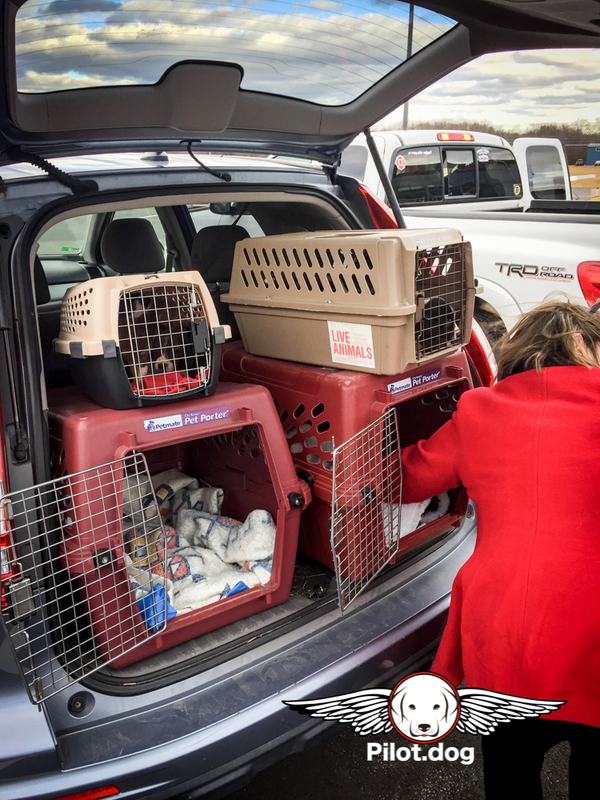 Mike had two crates so I made sure the more subdued puppies went in one crate and the more rambunctious ones in another. Soon it was time to say goodbye to everyone. Dutchess and her babies in crates, Festus flying behind Mike on the backseat and Karen got to hold dear sweet Poppy. I think if she could have Karen would have loved to take Poppy home with her. 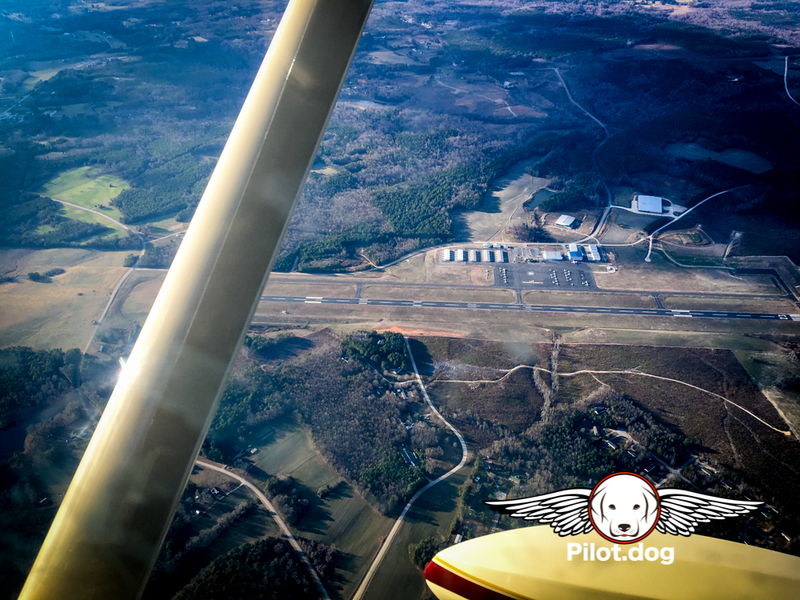 After eating lunch at the airport, we took off for our flight back to Raleigh. 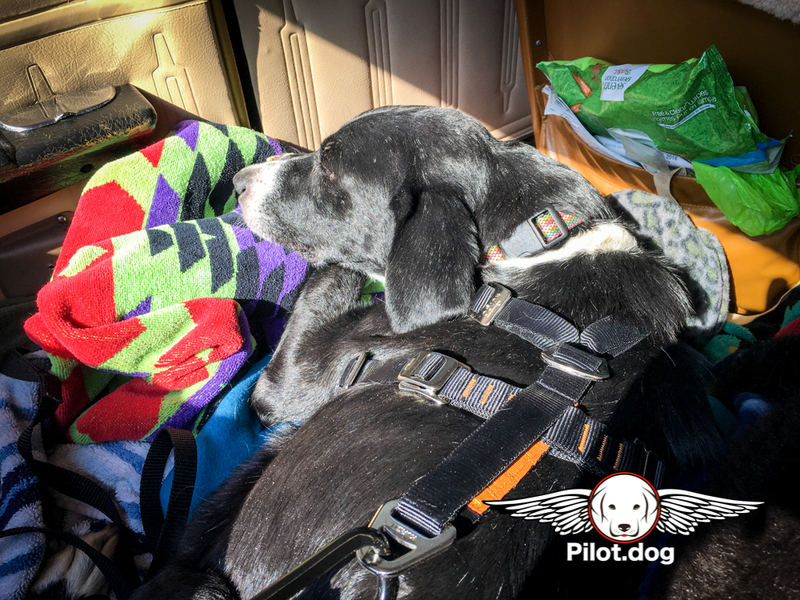 We listened to music on the way back and at one point Steve noticed our heads were bopping to the same beat! There’s not a lot to do going home. 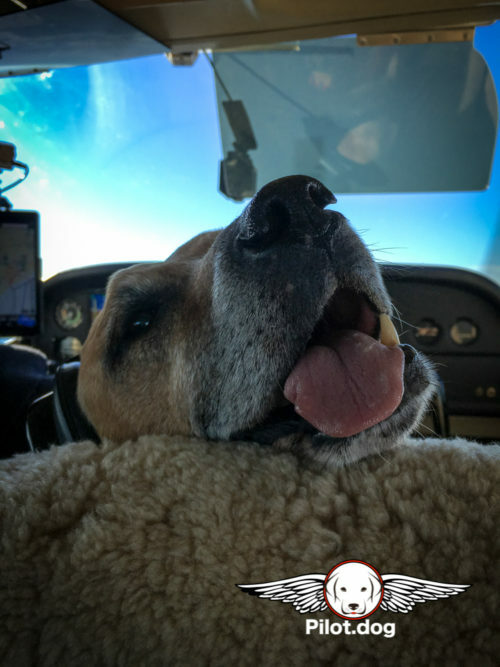 We had a good laugh over that. 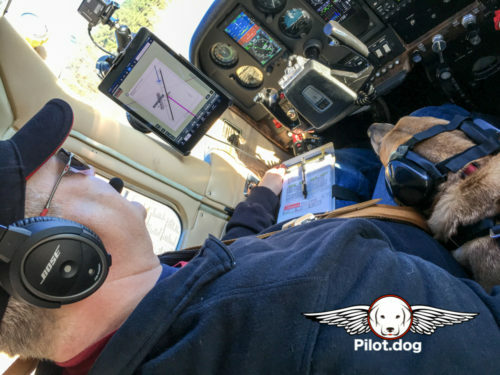 You can see us in the video. 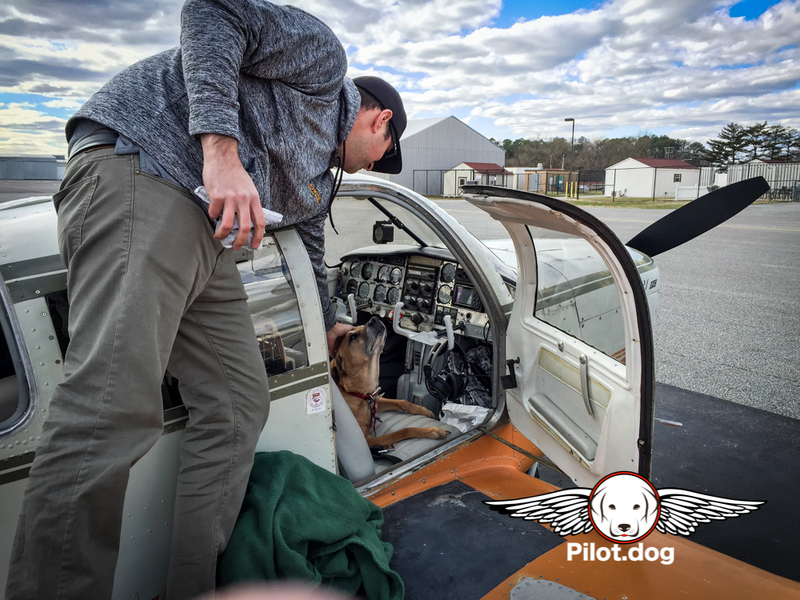 We landed in Raleigh about 4:30 and after cleaning up our trusty plane, “Dude”, we headed home to our own pups and 12-hours of sleep that night. Such an amazing journey! So glad we could play a small role. You guys rock!